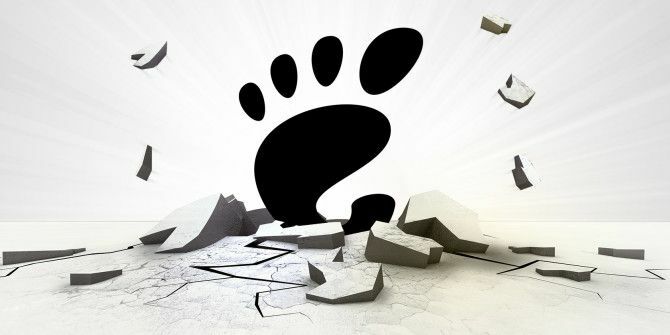 When the team behind GNOME came out with GNOME 3, which included the infamous GNOME Shell, the most popular desktop environment of the time saw a sharp decrease in users. And honestly, that trend is pretty easy to explain. When GNOME 3 initially came out GNOME 3 Beta - Welcome To Your New Linux Desktop GNOME 3 Beta - Welcome To Your New Linux Desktop Read More , it was incomplete, buggy, and foreign. The concepts behind GNOME Shell were never before seen on a desktop system, and lots of users who were used to panels/taskbars and menus didn’t like the rather dramatic changes. But all of that happened a few years back. Today, GNOME 3 is finally regaining users, and there are less people who go online to voice their hatred for the desktop environment. What happened to make GNOME slowly come back? This may or may not be surprising, but a good amount of people got used to the idea of GNOME Shell and how it works — it’s as simple as that. 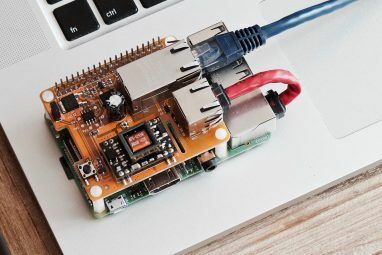 Although the concepts and ideas behind GNOME Shell were pretty foreign to most people, those who decided to sit down with it and take some time to play around got used to how it behaved. Ultimately, it showed them that there’s more than one way for a desktop to look and function. Eventually, some people liked GNOME 3 for its unique approach. There’s also been a lot of time between the first release of GNOME 3 and now for bugs and “papercuts”, which aren’t bugs but rather usability issues, to be corrected. Even if a concept is good, it won’t be fun to use if it’s riddled with bugs. I remember when using GNOME 3 earlier on how the shell occasionally crashed and required a restart. Or how the top panel wouldn’t disappear when I played YouTube videos in full screen mode. None of those issues exist anymore (or at least they’re no longer GNOME’s fault), and that’s certainly a step in the right direction. GNOME Shell is also more customizable, thanks in part to the creation of the GNOME Tweak Tool. With it, you can change deeper-level settings Configure Your Gnome 3 Desktop With Gnome Tweak Tool Configure Your Gnome 3 Desktop With Gnome Tweak Tool There aren't exactly a bazillion different customization options for just about anything, as GNOME 3/Shell is still relatively new. If you're one of those people who can't stand GNOME 3 as long as you cannot... Read More that aren’t available in the main configuration tools. This way, power users are happy to customize a lot further while people who just want a system that works aren’t confronted with too many options at once. Starting with GNOME 3.8, the development team introduced “Classic Mode”. This mode is supposed to use the existing technologies that are used for GNOME 3 but instead offer a desktop layout that is pretty similar to that of GNOME 2. Although this mode isn’t quite as flexible as GNOME 2 used to be (and users who are looking for that are better served by MATE), it still makes the difference between the two versions less jarring. As a result, several people were fine with the compromise that Classic Mode provided, and started using GNOME 3 as their desktop environment. Not long after the debut of GNOME 3, an update to the desktop environment added support for extensions. This made the desktop environment much more useful for a lot of people because then anyone could write an extension that fixed a pain point they had with GNOME 3 Make Gnome Shell Usable With These 12 Extensions Make Gnome Shell Usable With These 12 Extensions Read More . Quite a few extensions have options to let you customize them even further. They’re also very easy to install — if you visit the Gnome extensions page in Firefox, you can install new extensions straight from the browser. This is simply a very convenient way to customize your experience in just a few seconds. The same goes for themes, which are easy to install so long as you find a package that’s installable on your distribution. Themes (such as the Faience theme Faience: One Of The Best Gnome Shell Themes Yet [Linux] Faience: One Of The Best Gnome Shell Themes Yet [Linux] You have to admit that Gnome Shell does look elegant, even if you completely hate it for how it works. Some people even say that Gnome Shell practically breaks every ergonomics rule in the book,... Read More ) help change the appearance of GNOME Shell to something you like. Depending on the theme, some changes are more subtle while others are quite drastic. Plus, if you know some CSS, you can easily create or edit your own theme to customize it even more to your specific tastes. The final reason is simply that the development team listened to the feedback of their users and executed well in fixing those issues. As an open source project, you would certainly hope that the development team will listen to their users, but sadly this isn’t always the case. Heck, even when GNOME 3 was first being developed it may have seemed like they weren’t listening to their users then. The team had a vision of what their next desktop environment should be, and they focused on creating that. However, now that it’s been out for a few years now, the team is listening to users so that they can keep their vision while fixing any gripes users have about it. 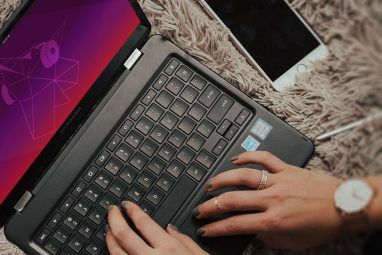 The latest releases of GNOME 3 have received quite favorable reviews, which is in stark contrast to when the desktop environment first came out and barely anyone seemed to be able to figure it out. If you would have asked me whether I recommend GNOME 3 a few years ago, I would have said no even though GNOME 3 did have a few advantages 3 Reasons Why Gnome Shell Is Better Than Ubuntu's Unity [Opinion] 3 Reasons Why Gnome Shell Is Better Than Ubuntu's Unity [Opinion] There's absolutely no denying the fact that there has been a lot of bickering between people about which desktop environment is the best. The discussion has been expanded and refocused, from not just Gnome vs.... Read More even from the beginning. It was simply too different from a traditional desktop, and it also had some growing pains. However, today I’m more willing to recommend the desktop environment and even occasionally use it myself. I probably wouldn’t make it my first recommendation to someone who’s completely new to Linux as the fact that it’s quite different remains unchanged, but anyone who’s dipped their feet in Linux should be able to handle it without a problem. If you haven’t looked at GNOME 3 since back when it first came out, I ask that you try it out again — you may be surprised. What’s your favorite feature of GNOME 3? What issues do you still have with it? Let us know in the comments! i loved gnome butnot anymore. I've spent many years with Linux Mint and GNOME 2 / Mate. I just installed Arch with GNOME 3 today. After installing a few near-essential shell extensions and making a few tweaks, I actually really like it! I've got nothing but praise for GNOME 3. I was expecting a rough ride after reading the many, many negative comments about it. But it seems fast, stable, very pretty and generally pretty excellent. I like the 'Activities' button on the top menu, it spreads the windows out nicely and it also acts as a launcher type thing - like Gnome DO. It's just good. Unity is usually 4th or 5th. Just do a google search for linux desktop polls. Gnome was first until 2011 when 3 was released. Since then KDE is always #1. Sorry Gnome. I loved you, but hated the change. I have moved on to Mate. You lost me, I no longer trust you. Well, im new to linux, 5 years ago i tried ubuntu and gave up. About 2 years ago i tried again, i used KDE (mostly) , XFCE, LXDE and UNITY. I use GNOME shell now, after a few tweaks it works like a charm for me... I agree, isn’t natural to windows people making the switch, i had to take this weird journey around workspaces/distros and all. But i can tell you, everybody in my family runs Ubuntu GNOME now, no one wants to go back to windows. I've been toying with Ubuntu GNOME myself, and I like it a lot. I haven't had it on my computer for very long, but we'll see how it goes. Ubuntu GNOME is my workhorse, i have it on my laptop and use it day after day. Real eye candy but not the cutting edge stuff though, at least not the LTS. I am waiting for the next ubuntu release with GNOME 3.16 to make a switch. Last night i tried Fedora Alpha (22) on a USB stick just to satisfy my curiosity towards GNOME 3.16. Big diferences, its realy improving. I like your articles Danny, keep it up the good work. I agree with 67GTA and Dragonmouth on this one. 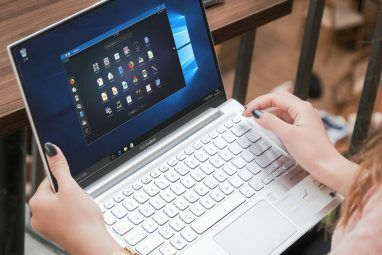 Gnome 3 isn't natural to windows people making the switch. And for Linux users, there are too many other options like: KDE, MATE, XFCE, etc. Some people dig it and that's cool, but I'll stick to KDE. I had my taste of Gnome with Fedora. It was pretty but confusing. They changed the desktop interface too much, I was losing productivity trying to work with the UI. I eventually gave up and moved back to MATE, and now XFCE. I may try this "classic mode" if I ever tire of the other desktop environments. But XFCE has been really easy to use that I am not looking forward to replacing it. Do you use Xfce on Fedora? I found it to be so vanilla that it was a bit ugly, and I never found many good themes. At least Xubuntu looks good out of the box. I've seen alot of these articles lately with no evidence that Gnome 3 is any more popular. They all claim Gnome is winning back users. Most DE polls I see have KDE and XFCE/Mate on top. Since Debian switched back, there are only two major linux distros that ship Gnome by default. Everyone else ships KDE or a Gnome fork by default. I just don't see it. "They all claim Gnome is winning back users." "They" figure that if you say something often enough, everyone will begin believing it. First, sorry for my English for it's not my first language. Whenever I read similar articles about how great Gnome 3 has become on the internet, I could not help thinking about the time Gnome developer decided to stop the familiar Gnome 2 interface which I had been used for many years, to a totally new tablet-like interface. Gnome 3 was so different and buggy that I could not get things done without having to spend time on internet searching for solutions, or doing OS re-installation when things went wrong. Gnome 2 was no longer supported and I could not get used to the new interface. I was so nervous and confused because Gnome 3 was not for me and I could not find a new DE that I could use comfortably. Fortunately I did not have to suffer long, Mate came out and it saved my life. When I saw the familiar interface again, I knew it was what I really need. I do not blame Gnome developer for creating Gnome 3 because things change and it is part of the nature. But the process could have been a little easier for the users by giving us enough time to change and provide us enough help to adopt the new environment. It was also really irresponsible to rush out a premature DE that was unstable and full of bugs because many people relied on it for productivity. Perhaps it sounds irrational but my feeling was hurt when the developer forced us to change to Gnome 3 brutally. The developer did not care about us and the trust and bond between us were gone. I will stay with Mate because I feel welcome and happy here. Here is a little advice to the Gnome developer: If you really want to win back anyone's heart, treat your users with respect and listen to what they say. I'd be surprised if KDE was that popular right now. I bet Unity is the most-used one simply because of the sheer amount of people on Ubuntu. Some people can argue with me but I do use the computer to solve "real world" problems. Just I like to use the software that fit my needs not one needs my requirements to be adopted itself. So address book/calendar/to-do/mail apps are very important for my daily workflow. KDE Address Book is greatest contacts app I have ever used. Korganizer and Kmail just do decent job for me and they are available system-wide to maximize my productivity. I wish the desktop environment won't get too bloated that it requires latest hardware for it to run. That is why I still opt for XFCE and some other lightweight desktop environment. Users sometimes need performance not eye candies.